María José de Pablo Fernández,  known professionally as Cote de Pablo (born November 12, 1979), is a Chilean-American actress and singer. Born in Santiago, Chile, at the age of ten she moved to the United States, where she studied acting. Entertainment Tonight is an American first-run syndicated entertainment television newsmagazine that is distributed by CBS Television Distribution throughout the United States. Arvida Middle School is a Blue Ribbon middle school in Miami, Florida, United States, founded in 1975, that educates around 1,850 students in grades 6-8. Its principal since August 2006, is Nancy Aragon, promoted from Assistant Principal. On July 10, 2013, it was reported by CBS that de Pablo would be leaving NCIS for undisclosed reasons, although she remained on long enough to conclude her character Ziva David's storyline at the beginning of season 11. De Pablo later told Cindy Elavsky that Ziva could come back because she did not die. However, in the season 13 finale of the series, it was stated that her character had apparently died in an explosion in Israel. Three years later in 2019, the thirteenth season 16 episode 'She' revealed that Ziva is alive and has gone into hiding off-screen. In January 2014, de Pablo was announced to have been cast in the film The 33 , about the 2010 Copiapó mining accident, as the wife of one of the miners. She was also cast in the 2015 CBS miniseries, titled The Dovekeepers , based on the Alice Hoffman novel. In March 2016, Deadline Hollywood reported de Pablo is slated to return to series television as Laura Kale in Syfy's thriller-drama, Prototype, pending negotiations. In April 2016, TVLine columnist Matt Mitovich confirmed Cote's return to series television. The show was to feature "three unlikely colleagues—two of them played by de Pablo and Jack Davenport—who inadvertently stumble upon an invention that challenges the very nature of quantum physics—a discovery which in turn puts their lives in grave danger." In August 2016 Deadline reported that Syfy passed on the show. De Pablo performed a portion of Tom Waits' song "Temptation" on the NCIS episode "Last Man Standing", which first aired in the U.S. on September 23, 2008. 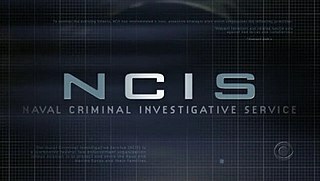 Her full performance of the song, including some lyrics in French, appears for the first time on NCIS: The Official TV Soundtrack , which was released on February 10, 2009. "Under Covers" is the 8th episode of the third season of the American police procedural drama NCIS, and the 54th episode overall. It originally aired on CBS in the United States on November 8, 2005. The episode is written by Lee David Zlotoff and directed by Aaron Lipstadt, and was seen live by 17.79 million viewers. Ziva David is a fictional character from the CBS television series NCIS, portrayed by Chilean-born American actress Cote de Pablo. Ziva first appeared in the season 3 premiere episode, "Kill Ari ", and became a regular cast member from the episode "Silver War". She replaced Caitlin "Kate" Todd, who was killed at the hands of Ziva's half-brother, Ari Haswari, in the season 2 finale. Following the onscreen death of the character's father in season 10, Gabi Coccio recurrently portrayed a young Ziva in flashbacks. "Last Man Standing" is the first episode of the sixth season of the American police procedural drama NCIS, and the 114th episode overall. It originally aired on CBS in the United States on September 23, 2008. The episode is written by Shane Brennan and directed by Tony Wharmby, and was seen live by 18.03 million viewers. NCIS is an American action police procedural television series, revolving around a fictional team of special agents from the Naval Criminal Investigative Service. The concept and characters were initially introduced in two episodes of the CBS series JAG. The show, a spin-off from JAG, premiered on September 23, 2003, on CBS. To date it has aired fifteen full seasons and has gone into broadcast syndication on the USA Network. Donald P. Bellisario and Don McGill are co-creators and executive producers of the premiere member of the NCIS franchise. It is the second-longest-running scripted, non-animated U.S. primetime TV series currently airing, surpassed only by Law & Order: Special Victims Unit (1999–present), and is the 7th-longest-running scripted U.S. primetime TV series overall. The 13th ALMA Awards honors the accomplishments made by Hispanics in film, television, and music in 2011. The awards were taped on September 16, 2012 at the Pasadena Civic Auditorium for broadcast on NBC on September 21, 2012. The show was co-hosted by Eva Longoria and George Lopez, marking their third consecutive year as hosts. The awards ceremony was sponsored by the National Council of La Raza. "Shabbat Shalom" is the eleventh episode of the tenth season of the American police procedural drama NCIS, and the 221st episode overall. It originally aired on CBS in the United States on January 8, 2013. The episode is written by Christopher J. Waild and directed by Dennis Smith, and was seen by 21.11 million viewers. "Kill Ari " and "Kill Ari " are the first two episodes of the third season of the American police procedural drama NCIS, and the 47th and 48th episodes overall. They originally aired on CBS in the United States on September 20 and 27, 2005. Both episodes are written by Donald Bellisario, the show's creator and executive producer at the time. Part I, directed by Dennis Smith, was seen live by 15.48 million viewers, while Part II, directed by James Whitmore, Jr., was seen live by 15.09 million viewers. The eleventh season of the police procedural drama NCIS premiered on September 24, 2013, in the same time slot as the previous seasons, Tuesdays at 8 pm. Special Agent Ziva David, departs during the season with her final appearance being in "Past, Present and Future". The episode "Crescent City ", which aired on March 25, 2014, serves as the first of a two-part backdoor pilot of a second spin off from NCIS called NCIS: New Orleans based in New Orleans. "Truth or Consequences" is the first episode of the seventh season of the American police procedural drama NCIS, and the 139th episode overall. It originally aired on CBS in the United States on September 22, 2009. The episode is written by Jesse Stern and directed by Dennis Smith, and was seen live by 20.61 million viewers. "Good Cop, Bad Cop" is the fourth episode of the seventh season of the American police procedural drama NCIS, and the 142nd episode overall. It originally aired on CBS in the United States on October 13, 2009. The episode is written by David North and Jesse Stern and directed by Leslie Libman, and was seen live by 21.04 million viewers. "Berlin" is the 21st episode of the tenth season of the American police procedural drama NCIS, and the 231st episode overall. It originally aired on CBS in the United States on April 23, 2013. The episode is written by Scott Williams and Gina Lucita Monreal and directed by Terrence O'Hara, and was seen live by 17.33 million viewers. "Revenge" is the 22nd episode of the tenth season of the American police procedural drama NCIS and the 232nd episode overall. It originally aired on CBS in the United States on April 30, 2013. The episode is written by George Schenck and Frank Cardea and directed by James Whitmore, Jr., and was seen by 18.29 million viewers. "Enemies Foreign" is the eighth episode of the eighth season of the American police procedural drama NCIS and the 170th episode overall. It originally aired on CBS in the United States on November 16, 2010. The episode is the first of a two-part story arc and continues the long-term storyline within the series of the complex relationship between protagonist Ziva and her father, Mossad Director Eli David. During the first installment, the NCIS team is assigned to protect Eli when he arrives in Washington D.C. for an inter-agency conference and must deal with three Palestinian terrorists who are attempting to assassinate him. Tony DiNozzo and Ziva David are fictional characters from the American police procedural drama NCIS. Tony, an original character, is portrayed by Michael Weatherly, and Ziva, who first appeared in the third season, is portrayed by Cote de Pablo. Frequently referred to by the portmanteau "Tiva", the characters' flirtation and the idea of them eventually beginning a relationship became a subject of interest among viewers, and by 2010, TV Guide reported that "many fans have become obsessed with the romantic tension between Weatherly's character and co-worker Ziva". Focus and media coverage on the pair escalated over the years, particularly after NCIS became the most watched television series in America during its tenth season. The Ziva David captivity storyline refers to a series of episodes from the American police procedural drama NCIS surrounding the imprisonment of protagonist Ziva David in a Somali terrorist training camp and its aftermath. Originally created by then-executive producer Shane Brennan, the story arc first aired in 2009 during the sixth season of the show and continued into the seventh season. 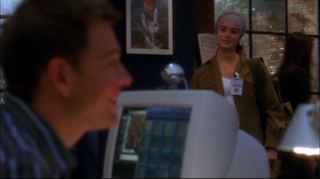 Episodes followed the events that originally led to Ziva's being taken hostage by an Islamic terrorist, the collapse of her relationship with the NCIS team, her captivity and eventual rescue, and the ramifications. "Past, Present, and Future" is the second episode of the eleventh season of the American police procedural drama NCIS, and the 236th episode overall. It originally aired on CBS in the United States on October 1, 2013. The episode is written by Gary Glasberg, Scott Williams and Gina Lucita Monreal and directed by James Whitmore, Jr., and was seen by 19.98 million viewers. ↑ "Cote de Pablo biography". A+E Networks. Retrieved 31 May 2012. 1 2 3 4 "CBS bio" . Retrieved October 30, 2008. ↑ Lee Hernandez (November 4, 2010). "EXCLUSIVE: Cote de Pablo on the Chilean Miners Rescue: "In That Moment, I Felt Proud to be Chilean"". Latina . Retrieved May 31, 2013. 1 2 3 Ximena Urrejola (October 6, 2009). "Detalle noticia". mer.cl (in Spanish). Retrieved July 15, 2010. ↑ Jacqueline Neiss (October 1, 2007). "NCIS's Cote de Pablo visits Israel". OK Magazine. p. 72. Archived from the original on July 22, 2010. Retrieved July 15, 2010. ↑ Lee Hernandez (February 10, 2009). "'NCIS' Star Cote de Pablo, on the Pleasures of Kicking Men's Behinds on TV". latina.com. Retrieved July 15, 2010. ↑ "Cote de Pablo: Biography". CBS Interactive Inc. Retrieved 7 August 2013. ↑ "Cote de Pablo". BuddyTV. Retrieved July 6, 2013. ↑ Tugend, Tom (March 15, 2007). "'NCIS' Mossad agent's cover gets blown—she's Chilean". jewishjournal.com. Retrieved July 15, 2010. 1 2 Owen, Rob. "Prime Time - Carnegie Mellon Today". carnegiemellontoday.com. Archived from the original on May 9, 2013. Retrieved June 26, 2011. ↑ Marsi, Steve (October 29, 2009). "Cote de Pablo Dishes on NCIS' Ziva and Tony". tvguide,com. Archived from the original on September 26, 2011. Retrieved June 26, 2011. ↑ Mason, Dave, "De Pablo adds spice to 'NCIS'", The San Diego Union-Tribune , January 3, 2006. Retrieved February 11, 2013. ↑ TV.com (1979-11-12). "Cote de Pablo Biography". TV.com. Retrieved 2016-01-09. ↑ Gonzalez, Sandra. "Cote de Pablo leaving 'NCIS'". Entertainment Weekly. Retrieved 11 July 2013. ↑ Elavsky, Cindy (January 19, 2014). "Celebrity Extra". King Features . Retrieved April 22, 2014. ↑ Evans, Greg (2016-05-17). "Michael Weatherly's 'NCIS' Finale Finally Answers The Ziva Question". Deadline Hollywood . Retrieved 18 May 2016. ↑ "Former 'NCIS' Star Cote De Pablo Joins Chilean Miner Movie 'The 33'". Deadline Hollywood . 2014-01-10. Retrieved 14 January 2014. ↑ Kondolojy, Amanda (16 July 2014). "Cote de Pablo to Star in CBS's Upcoming Miniseries The Dovekeepers" (Press release). TV by the Numbers . Retrieved 16 July 2014. ↑ Andreeva, Nellie. "Cote de Pablo Poised To Star In Syfy Pilot 'Prototype'". Deadline Hollywood. Retrieved 2016-04-08. ↑ "Matt's Inside Line: Scoop on Grey's, Bones, Flash, Grimm, Arrow and More!". TVLine. Retrieved 2016-04-13. ↑ Petski, Denise. "JR Bourne & Toby Hemingway Join Syfy Pilot 'Prototype'". Deadline Hollywood . Retrieved 2016-04-13. ↑ Petski, Denise (28 August 2018). "Michael Weatherly & Cote de Pablo Reteam To Produce 'MIA' Detective Drama At CBS". Deadline Hollywood . ↑ Kott, Crispin. "CD Reviews". Roll Publishing. Retrieved 31 May 2012. ↑ Nudd, Tim (November 29, 2010). "NCIS's Cote de Pablo Loves Her Boyfriend for Being a Bad Influence". people.com. Retrieved June 26, 2011. ↑ Steely, Jon (April 2011). "Cote De Pablo The "NCIS" Special Agent Sings, Spars, Shoots, and Sleuths". venicemag.com. Archived from the original on July 25, 2011. Retrieved June 26, 2011. ↑ Hahn, Kate (2011). "Cote de Pablo: Radiating Inner and Outer Beauty - Prevention.com". Prevention magazine . Retrieved June 26, 2011. ↑ "ASCAP Honors Top Film and Television Composers and Songwriters at 19th Annual Awards Celebration". ASCAP . April 21, 2004. Retrieved March 21, 2015. ↑ "2008 Nominees". imagen.org. Retrieved March 21, 2015. ↑ "2008 NCLR ALMA AWARDS" (PDF). almaawards.com. Retrieved March 21, 2015. ↑ Robertson, Willa (August 25, 2009). "Alma Awards announce nominations". Variety . Retrieved March 19, 2015. ↑ "2009 NCLR ALMA AWARDS" (PDF). almaawards.com. Archived from the original (PDF) on July 13, 2014. Retrieved March 21, 2015. ↑ "Imagen Awards 2009 Nominations & Winners". imagen.org. Retrieved March 21, 2015. ↑ "Imagen Awards 2011 Nominees". imagen.org. Retrieved March 21, 2015. ↑ Cubria, Kaitlin (July 28, 2011). "Cubria, Kaitlin (July 28, 2011). "BIG Competition: Selena, Demi, Victoria and Naya Go Head-to-Head at the ALMA Awards."". teen.com. Retrieved March 21, 2015. 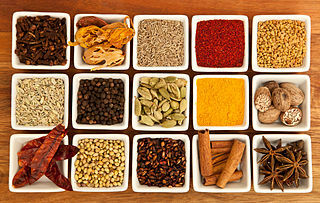 ↑ "2012 NCLR ALMA AWARDS" (PDF). almaawards.com. Retrieved March 21, 2015. Wikimedia Commons has media related to Cote de Pablo .